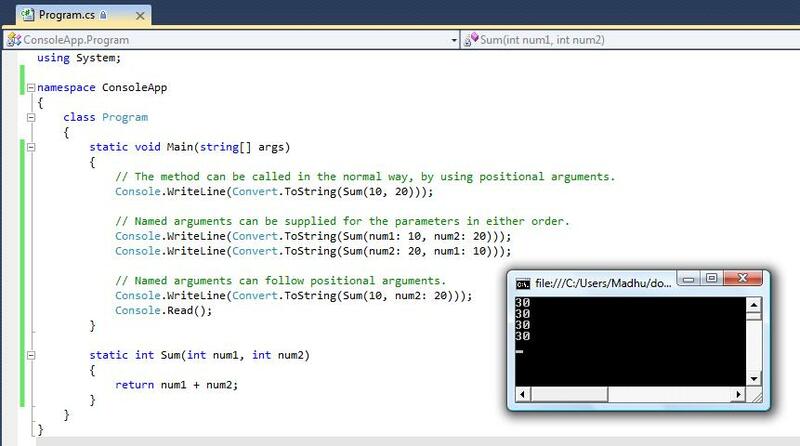 Among many new features in C# 4.0 we have Named and Optional Parameters as one of the enhanced feature, that has helped in bringing down the number of lines of code. Named parameters enable you to specify a parameter by associating that with the parameter’s name rather than with the parameter’s position in the list of parameters. Optional parameters enable you to omit or skip some parameters for some parameters list. 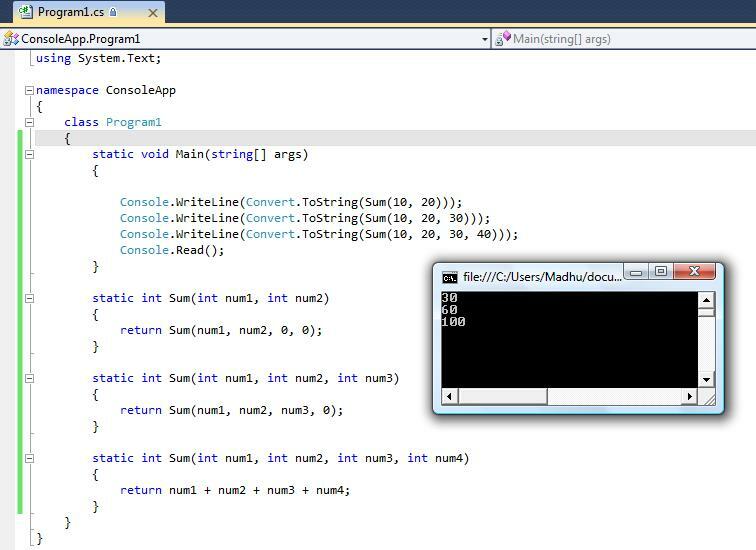 In C# earlier in order to call any method we had to pass all the parameters defined for that method and in sequence but now with C# 4.0 we can omit them. 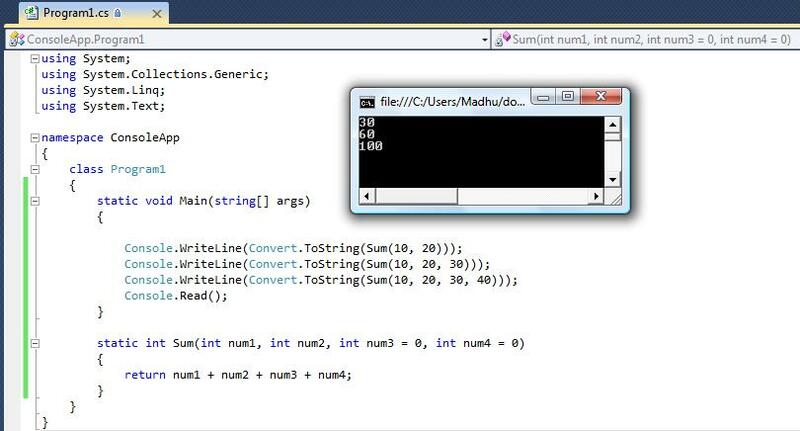 That’s it.. See how the number of lines of code is reduced. Hope you all liked this article. Do let me know your comment.